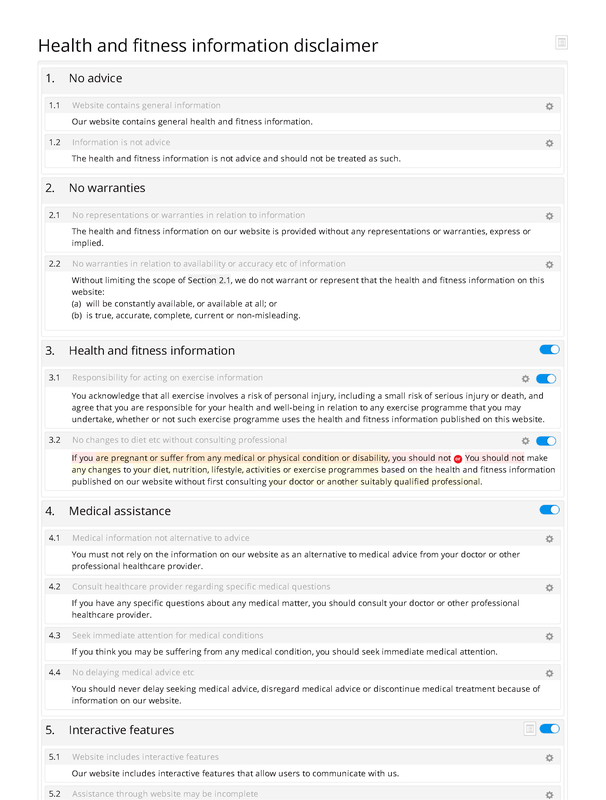 Websites that publish information relating to health and fitness may be at risk of complaints from users, and even legal action. 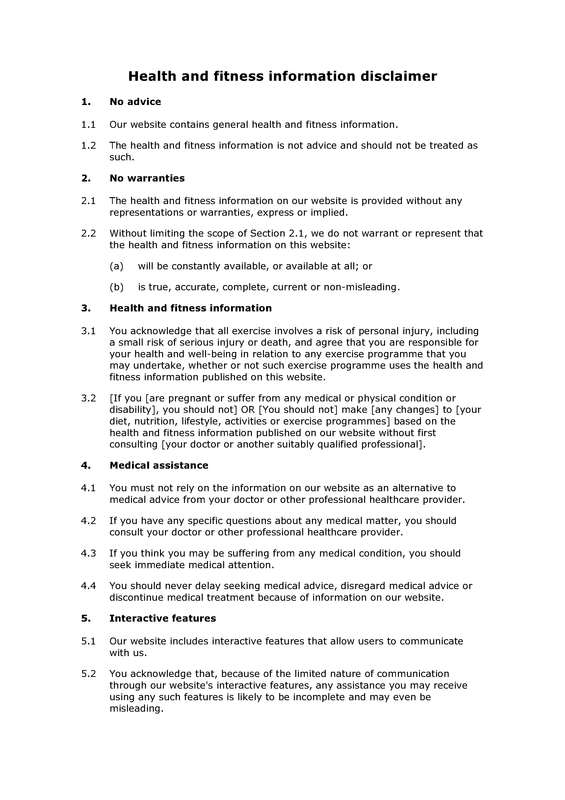 This disclaimer document is designed to help website operators to manage these risks. Of course, no disclaimer is bullet-proof, and a disclaimer that has been drafted to take account of the particular situation of a particular website may be more effective than this more generic document. If your website presents significant risks, you should take specific legal advice.